Given the track record, and growing influence of regressive conservatives in Pakistan, this news item was unusual. 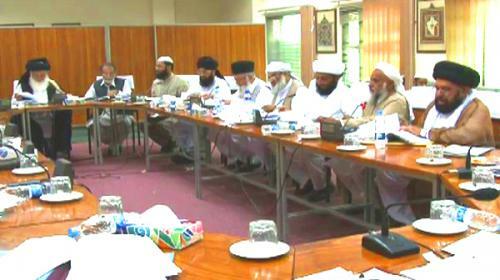 The Pakistan Senate’s Functional Committee on Human Rights has recommended that the Council of Islamic Ideology [CII], be dissolved. The CII was established in 1962 by the semi-benevolent dictator Field Marshal Ayub Khan, when he forced through his new Constitution, to recommend ways by which all laws could be in conformity with religious doctrine. Demanding dissolution of a Constitutional body is hardly routine, but the tipping point seems to have been CII’s suggestion that husbands should be allowed “light” violence against “errant” wives, with the decision on quantum of crime and punishment being left, naturally, to the husband.